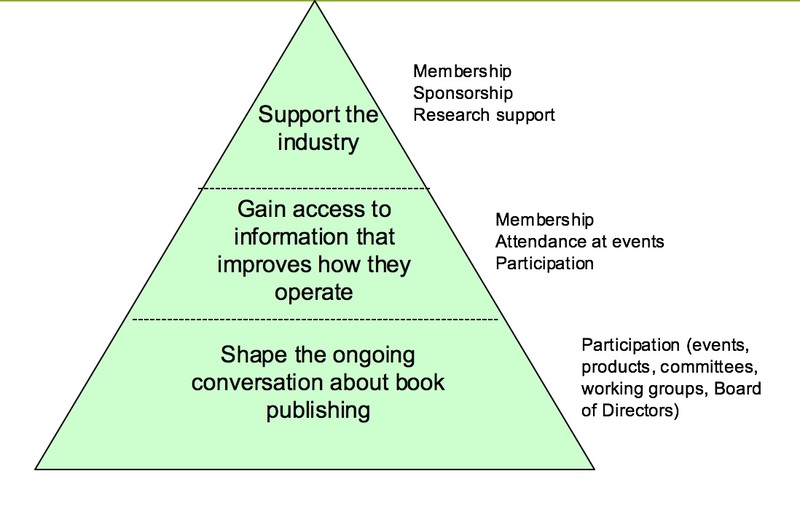 Your membership will shape the book publishing industry. BISG is a unique trade association — we do not service only one segment of the publishing industry, but all segments. Our goal is to solve pain points in the publishing industry that touch on two or more parts of the publishing supply chain. By joining BISG you will shape the ongoing conversation about book publishing through participation in our events, committees, and working groups. You will also gain access to information that improves how the publishing industry operates and, of course, support the industry. BISG members receive six free programs a year that keep members up-to-date and engaged in important problems and their solutions in the industry. BISG members also receive the BISAC codes for free every year as well as twenty-four free webinars, the ability to participate in our committees and working groups, and much more. NON-MEMBER (free) As a non-member, you can download our publications, buy BISAC codes, and register for events. You will not receive the discounts our members do for events and publications and will not be allowed to attend committee or working groups. COMMERCIAL BUSINESS (levels B - G, please review our levels below) Commercial Businesses include any company with 2 or more employees with the goal of making a profit. With this membership, you will be able to participate in our committees and working groups, receive special discounts to our events (including our three Making Information Pay events a year) and publications, six free programs a year, free BISAC codes, and twenty-four free webinars a year. COMMERCIAL BUSINESS EMPLOYEE (free, ONLY if your business is a member company) This option is open to any employees of current member companies. If your company is a member of BISG, you can sign up with your company email address to receive all the benefits included above. If your company is not a member of BISG, please select "non-member" type. NON-PROFIT (levels J - L, please review our levels below) Non-Profits include any organization that qualifies as a traditional non-profit. This typically includes universities, other trade associations, university presses, and many more. With this membership, you will be able to participate in our committees and working groups, receive special discounts to our events (including our three Making Information Pay events a year) and publications, six free programs a year, free BISAC codes, and twenty-four free webinars a year. NON-PROFIT EMPLOYEE (free, ONLY if your non-profit is a member company) If the non-profit you work for is a current member of BISG, you can sign up with your non-profit's email address to receive all the benefits included above. If your non-profit is not a member of BISG, please select "non-member" as your member type. LIBRARY ($645 a year) This membership is open to all libraries. With this membership, you will be able to participate in our committees and working groups, receive special discounts to our events (including our three Making Information Pay events a year) and publications, six free programs a year, free BISAC codes, and twenty-four free webinars a year. LIBRARY EMPLOYEE (free, ONLY if your library is a member company) If the library you work at is a current member of BISG, please sign up with your library email address to receive all the benefits included above. If your library is not a member, please select "non-member" as your member type. INDIVIDUAL ($645 a year) Individual membership type includes consultants, authors, independent agents, or sole-proprietorships. If you have employees, you do not qualify for individual membership. With this membership, you will be able to participate in our committees and working groups, receive special discounts to our events (including our three Making Information Pay events a year) and publications, six free programs a year, free BISAC codes, and twenty-four free webinars a year. Choose your type below to begin the membership registration process!